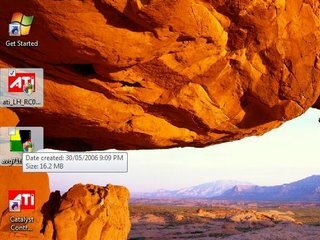 Here are two new Vista features that may interest people. I'll talk about one user interface (UI) enhancement in the Windows Shell, and one within Media Center. While there are a lot of architectural changes under the hood with Vista, there are also many new enhancements made to activities that people perform on a day-to-day basis. 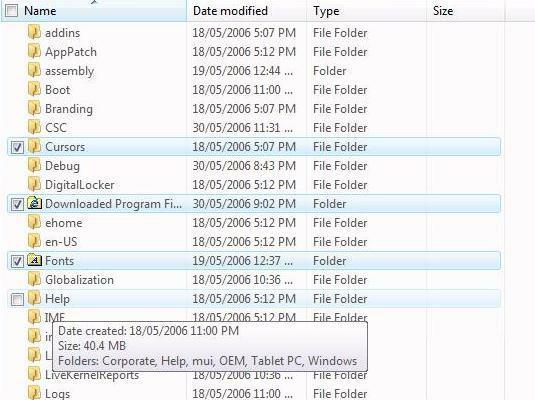 With previous versions of Windows, most people are familiar with Control-selecting files. That is, if you want to select a bunch of objects that may or may not necessarily be all bunched up together, you'd hold down control, and select each desired item. However, there are some cases where this can be difficult. One might have trouble holding down the Control key, or one might not have access to the Control key on their keyboard (think Tablet PC in slate mode). 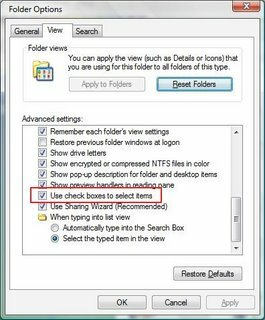 Vista has a new folder option called "Use check box to select items." 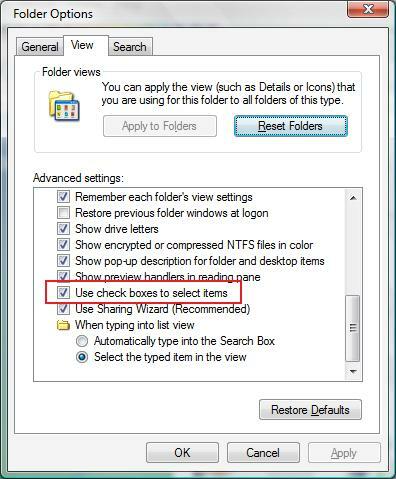 This can be found in the Control Panel under Folder Options as illustrated here. When this option is selected, you can use the check boxes to select items that you want. 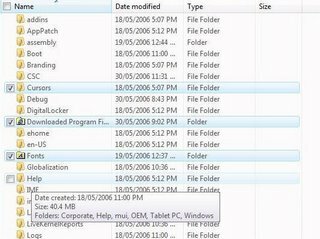 This should prove to be useful for many, especially those who don't like using the keyboard or those with Tablet PCs (you can now use your pen to select any number of files). Here are a couple more action shots that demonstrate this great feature. Vista also brings many UI enhancements to its version of Media Center. One of these changes that may please many is the inclusion of the Mini-Guide. Before I talk about the mini-guide, I'll give you some context behind this feature. 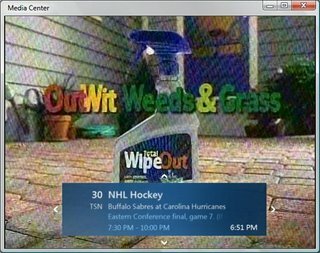 With all previous versions of Media Center, if you wanted to view your Electronic Programming Guide (EPG), you'd press the Guide button on your remote, and your tv window would shrink to the lower left corner as illustrated below. For those that wanted to remain focused on the show in question, forcing the the show into a little window was not always desirable. The Mini-Guide should alleviate these concerns. 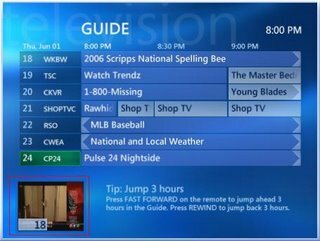 When viewing Live TV or Recorded TV, access the Mini-Guide by pressing the direction (arrow) keys on your Media Center Remote, or the the direction keys on your keyboard. You can use the up/down keys to browse up and down your channel listings, or left/right to go backwards/forward in time. All this happens without changing the channel, when you want to change the channel, simply hit OK or Enter. 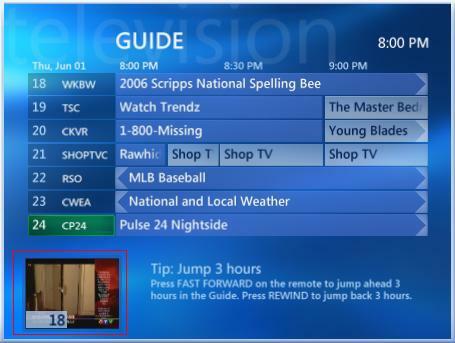 Now you can browse the EPG while still viewing tv shows in the background. This feature also avoids the delay associated with channel switching, due to the need to buffer for trick play functions (pause, skip replay, fast forward, rewind etc). There are many more examples of great UI features that Vista will bring to Windows Users. I will highlight more of them in the coming days.